Wait. Is there a drone race going on? 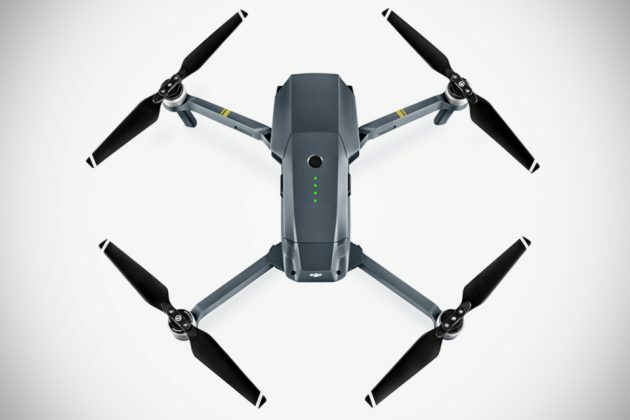 Cos’ just last week we saw GoPro’s first ever drone, today DJI is quick to introduce the company’s very own (and first) folding drone called DJI Mavic Pro and boy, is it super compact. 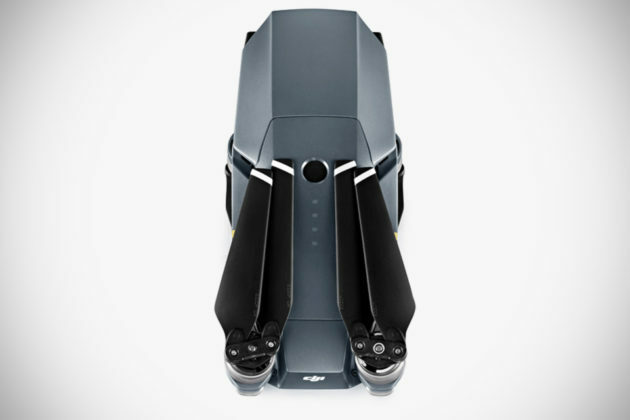 When folded down, the 1.64 lbs (743g) DJI Mavic Pro is small enough to be slipped into your bicycle shirt’s back pocket. Yes. It is that small. Even the controller is super compact too, looking much like a game controller but with integrated smartphone holder. While tiny, it is a complete aerial imaging rig that’s no lack of features. 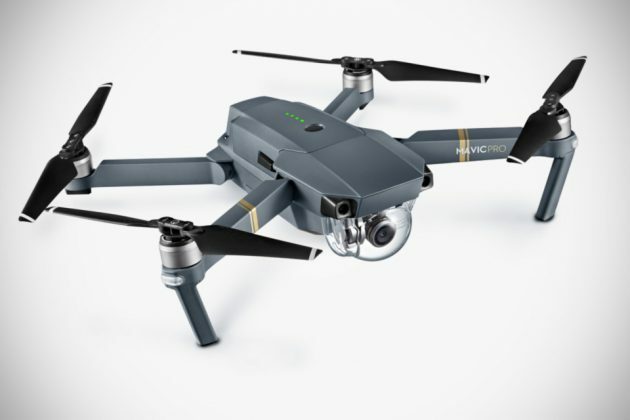 DJI touted the DJI Mavic Pro as “your first personal drone” and not surprisingly, it works like one with features like follow function where it will automatically follow you or the subject you defined without the need for a bracelet or tracker. 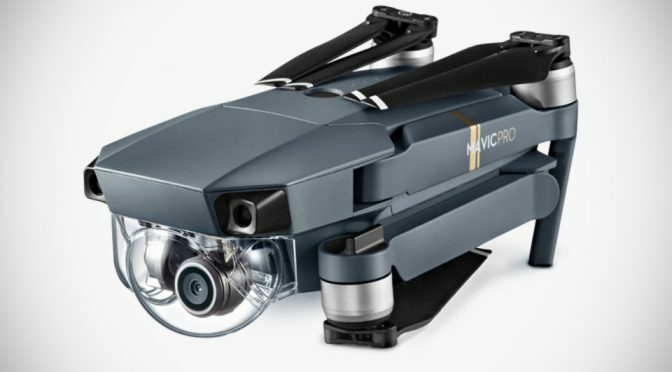 Mavic Pro is outfitted with a suite of vision sensors, found up front and under the craft that lends it the ability to determine its height in relation to the ground and of course, avoid obstacles as it tag along. These vision sensors work in sync with the onboard dual satellite connectivity that can make up to 20 satellites connection to determine where you are, so when it knows where to return to or when you hit return, it can return to where it previously took off. Also, thanks to the vision sensors, DJI Mavic Pro works just as well indoors too. 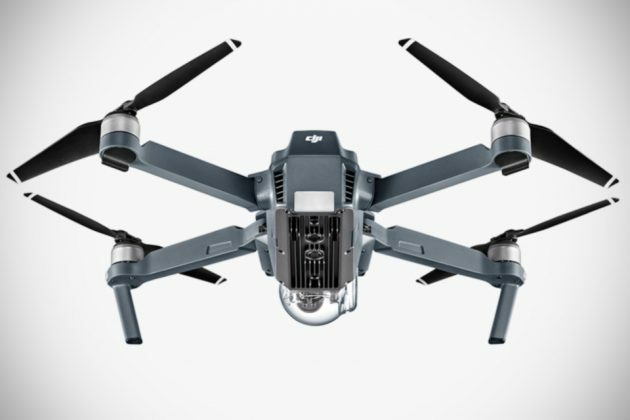 DJI said this flying camera boasts 24 “high-performance computing cores” that enables it to do what it does and unlike GoPro’s variety, it comes with its own 4K stabilized camera with miniature gimbal for imaging duties. 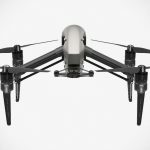 Mavic Pro also comes equipped with a new transmission system that affords up to 4.3 miles (6.9 kilometers) range and the quad rotors, along with the 3,830 mAh lithium-polymer battery, allows the you to push it to a top speed of 40 miles an hour and stay in the air for up to 27 minutes. 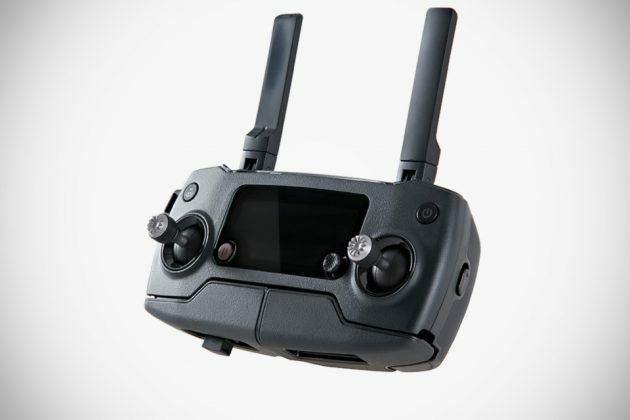 A few other noteworthy mentions include active tracking with several tracking profiles, tap-to-fly, smartphone controller using virtual joystick, terrain follow mode maintains a predetermined flight height, gesture activated still taking, and the ability to stream live footage to Facebook or YouTube. But those are not what DJI Mavic Pro has to offer. 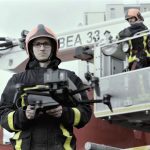 Apart from imaging, which is obviously its primary use, DJI is also marketing it as a sport drone which, when use with the new DJI Goggles, you can pretty much fly the Mavic Pro from the front seat like a sport drone. 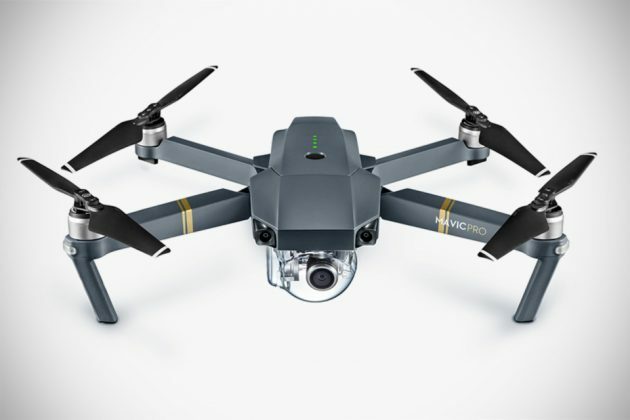 The new DJI Mavic Pro is available for pre-order as we speak, priced at $999, or $749 without the remote controller, or a cool $1,299 for the “Mavic Pro Fly More Combo” where you will get the flying camera itself, plus flight batteries, extra propellers, a charging hub, an adapter, a car charger, and a shoulder bag to hold it all. 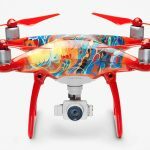 Scroll down for the product promo video to learn more about this other new kid on the (personal drone) block. 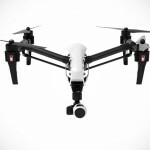 DJI Announced Inspire 2 And Phantom 4 Pro Video Drones And We Want Both!